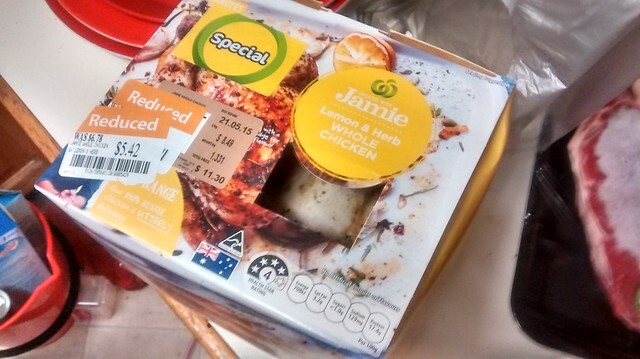 Okay, there’s two reasons that I bought this Lemon and Herb chicken from the Jamie Oliver range at Woolies…. 3. (three?) I was on my way home from a fairly intense (as they have been lately – we’re getting towards the end of the block I’ve been allotted so trying to cram some stuff in) psych session and my brain wasn’t working, so doing anything beyond throwing things in the oven was beyond me. 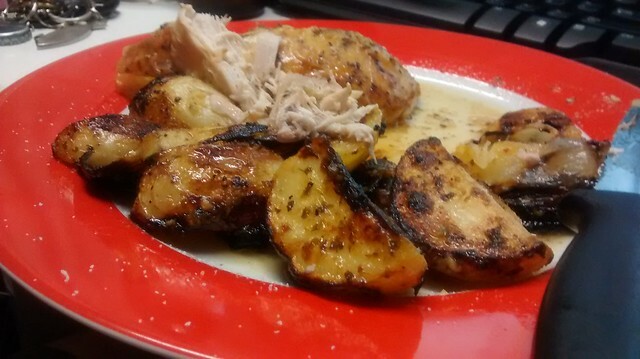 So, a half price, already seasoned chook (though they expect you to put salt on it and a sploosh of olive oil before you throw it in the oven) was perfect. 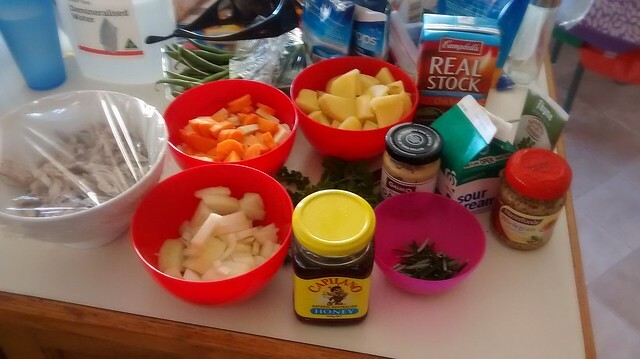 Plus there were spuds and the like at home for a quick roast dinner (yeah, should have had greens, but whatever). Since this dear chook afforded us some leftovers (we ate the breast meat the first night), I stripped it down, got a soup pack from the farmers’ markets at Speers Point Park on Saturday, and made what could maybe be called a honey mustard chicken. 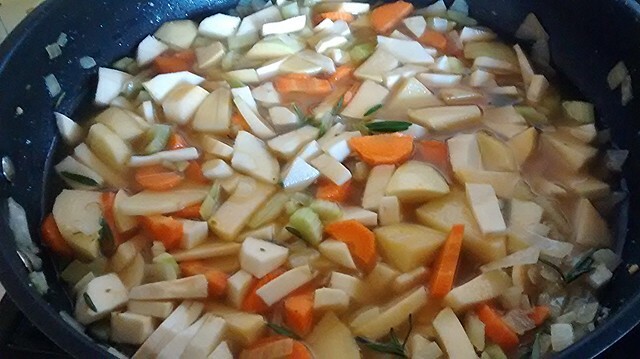 For us, it was a little over-sweet, as I think the carrots gave enough sweetness without adding the honey, but warm and delish all the same! 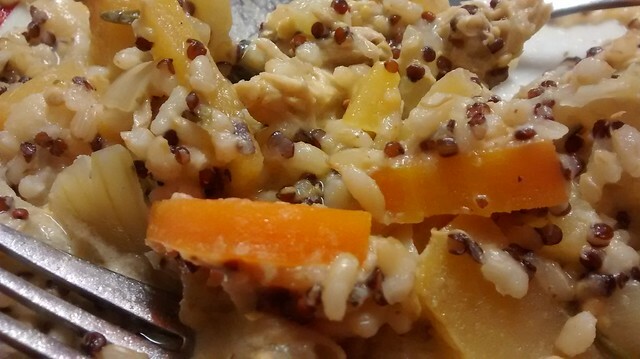 I served it with a pouch of quinoa and rice for added roughage. 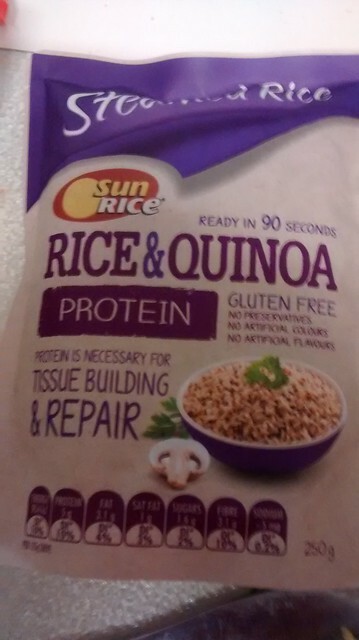 When I cleaned up Mum’s pantry on Mothers’ day, there were a number of these to slowly work through. Think I’m doing a good job at it! Great idea with the leftovers, I love buying things that can double up, especially if they are on sale!